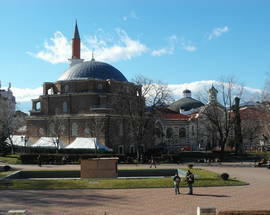 Ideally located in the centre of Sofia close to the old (and still partially dilapidated) mineral baths, this brick building was built in 1576 and named after the mineral baths.The dome has a diameter of 15 metres, and the building is the only remaining example in Bulgaria of a domed roof on a cubic base. 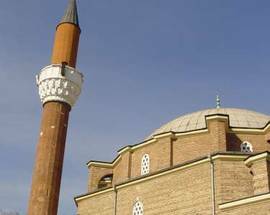 The architect Mimar Sinan was chief architect to the Sultan and his works also include the Selim mosque in Edrine and the Blue mosque in Istanbul Turkey. 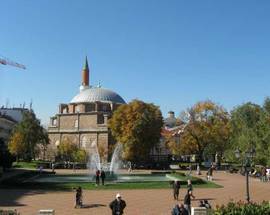 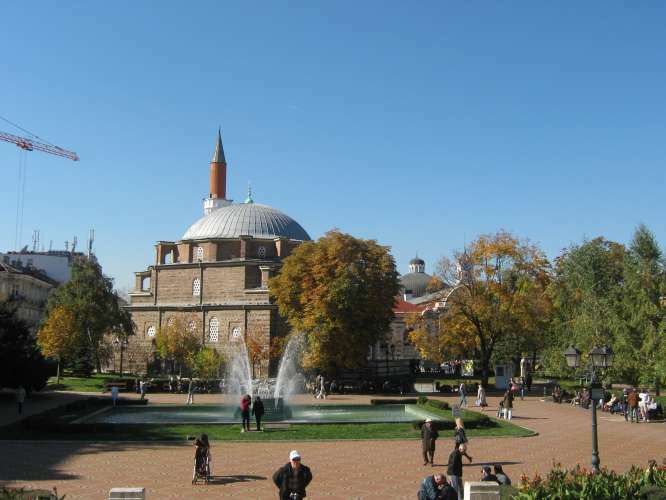 It is the only working mosque in Sofia and the muezzin calls the worshippers to prayer every day with a loudspeaker on the minaret (a decision has recently been taken to reduce the volume as it disturbs those who live in the vicinity!). 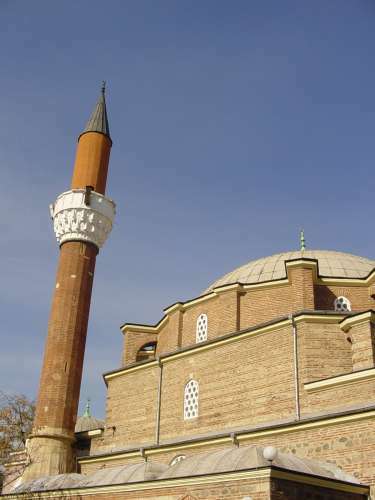 Around 700 worshippers can fit into the mosque, the whole area around which is particulary lively on Fridays when the service inside the mosque is broadcast on the loudspeaker for those who cannot fit inside.